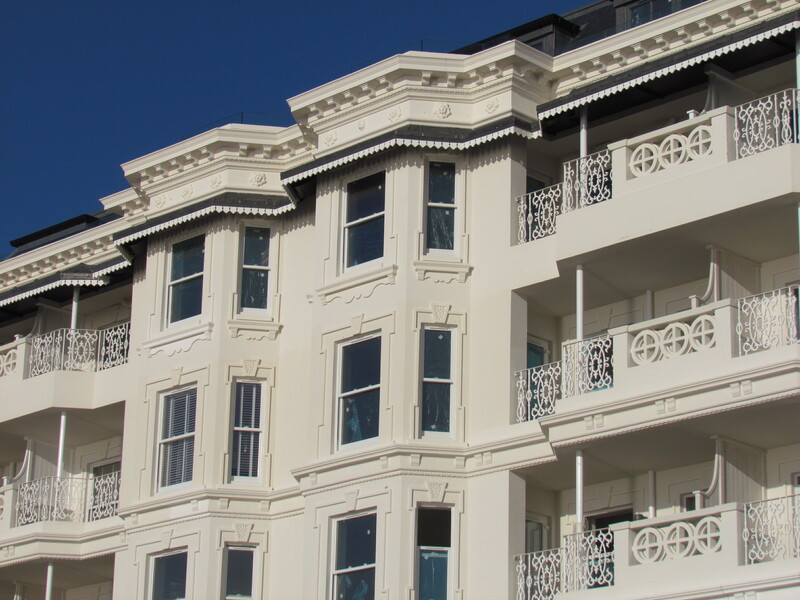 Our customer had a planning requirement and needed to replicate the prestigious properties in the neighbourhood. 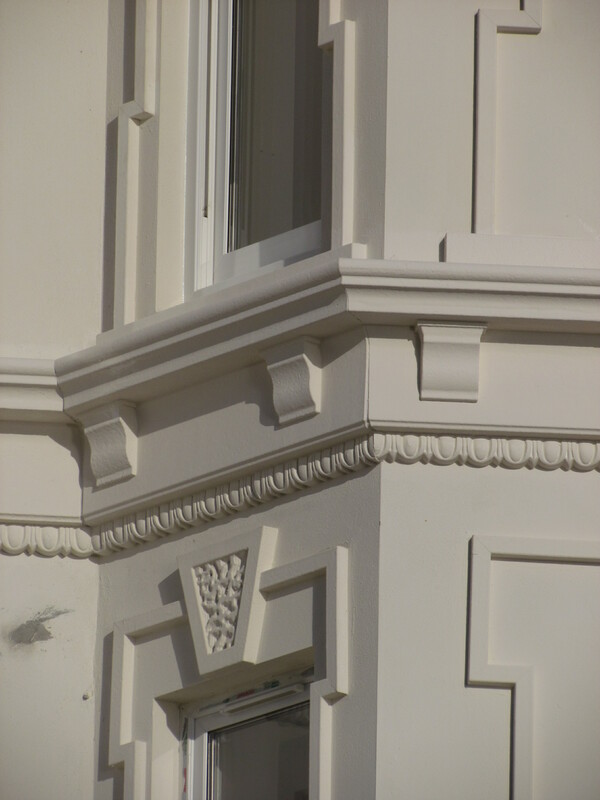 However, that was proving to be a problem, many of the skills of the Edwardian craftsman were no longer available to make the decorative features on the building. Even if they were to achieve a general approximation of the look, the cost would have been prohitive and it would take more time than was available. However, Banbury provided the answer. 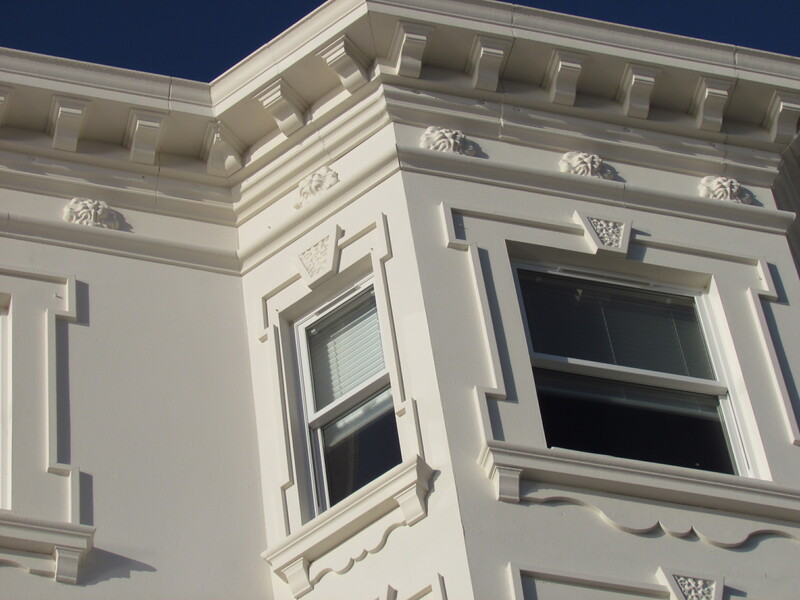 From photographs, our factory was able to copy the decorative features, window surrounds, door surrounds, cornice, keystones, dentils in fact all the features of the adjacent building in their Elasticoat product, this included some very intricate rosettes and quion details yet the product was easy to fix by adhesive to the superstructure. 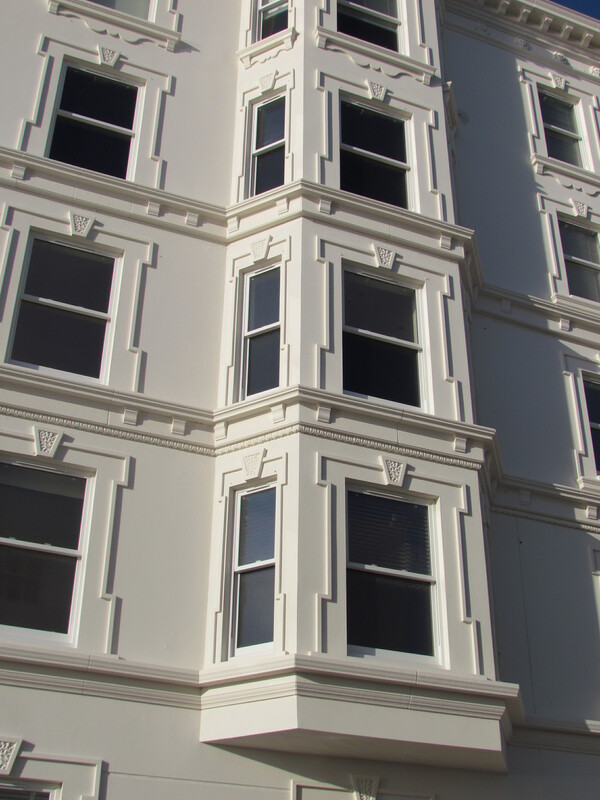 During the final process of the construction work, the returns were cut and mitered on site for ease of installation, joints were filled for a seamless finish and a mechanical fixing was provided where required. Our technical advice team worked closing with the site personnel throughout the building process and advised on fixing and suitable methods. 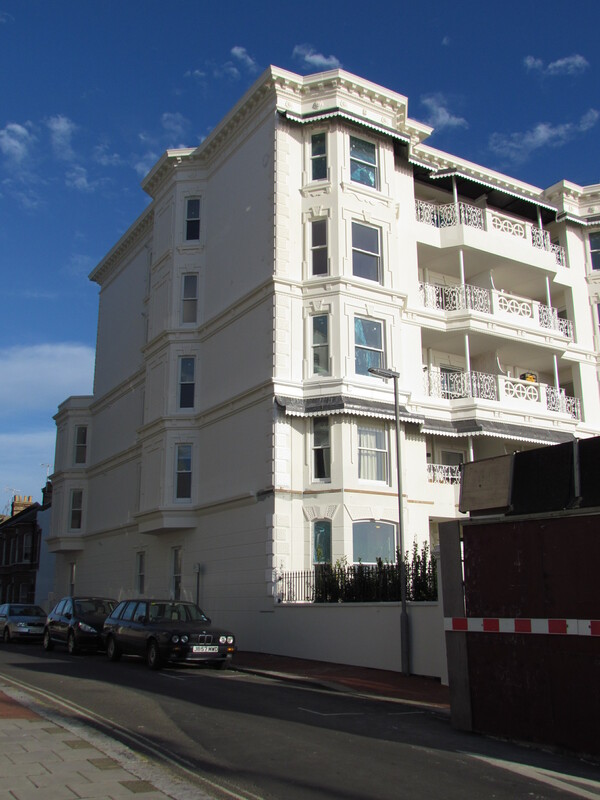 I am sure you will agree the authentic look of the building was maintained and everyone involved with the project was delighted with the result, enabling the project to be completed on time, within budget and most of all with the required aesthetic appearance. 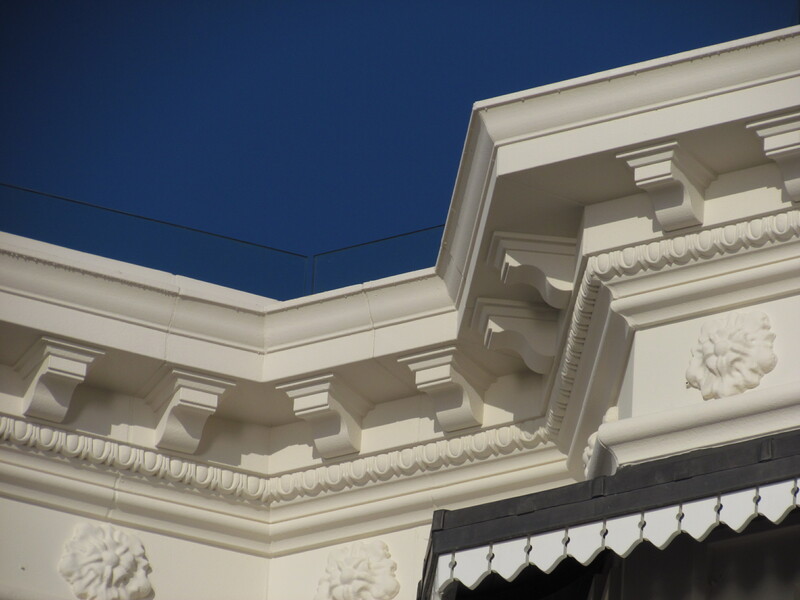 Architectural mouldings have been produced to replicate and emulate stone and plaster detailing withing this location they are extremely lightweight, easy to handle, durable, robust, low maintenance. This method not only saves the user time but money too!